December 6, 1969, marked one of classic rock’s bleakest days. Coming less than four months after the mostly idyllic Woodstock, the free concert known as Altamont was an unmitigated disaster. Planned on short notice by a collective including members and representatives of the Rolling Stones and the Grateful Dead, it was to feature those two bands (the Dead never even played), plus Santana, Jefferson Airplane, the Flying Burrito Brothers and Crosby, Stills, Nash and Young. Only days prior to the event, a site for the concert was finally secured at the Altamont Speedway, 60 miles east of San Francisco. Everything that could possibly go wrong did. With the Hells Angels biker gang “hired” as security with payment in beer, and with downer drugs proliferating, violence was in the air from early in the day. During the Airplane’s set, singer Marty Balin jumped off the four-foot stage to attempt to intervene in a fight, only to be knocked out cold by an Angel. And most famously, when the Stones finally did take the stage, the violence came to a boil, resulting in the stabbing death of a young black man, Meredith Hunter. The concert and all of its looming tension were expertly captured at the time by the documentarians the Maysles in their 1970 film Gimme Shelter. But much about what happened at Altamont has remained shrouded in mystery. 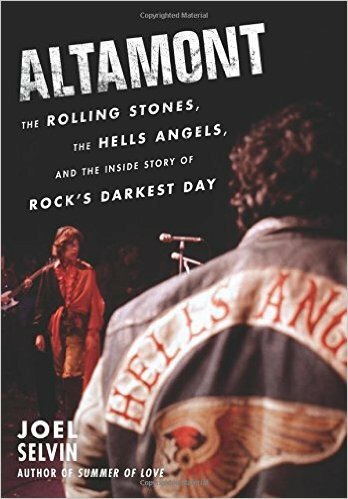 In 2016, veteran Bay Area music journalist Joel Selvin shed much new light on the historic anti-Woodstock in his book Altamont: The Rolling Stones, The Hells Angels and the Inside Story of Rock’s Darkest Day (Dey St. Books). Best Classic Bands spoke to Selvin about his motivation for writing the book and some of his findings. BCB: Why did you want to write this book? 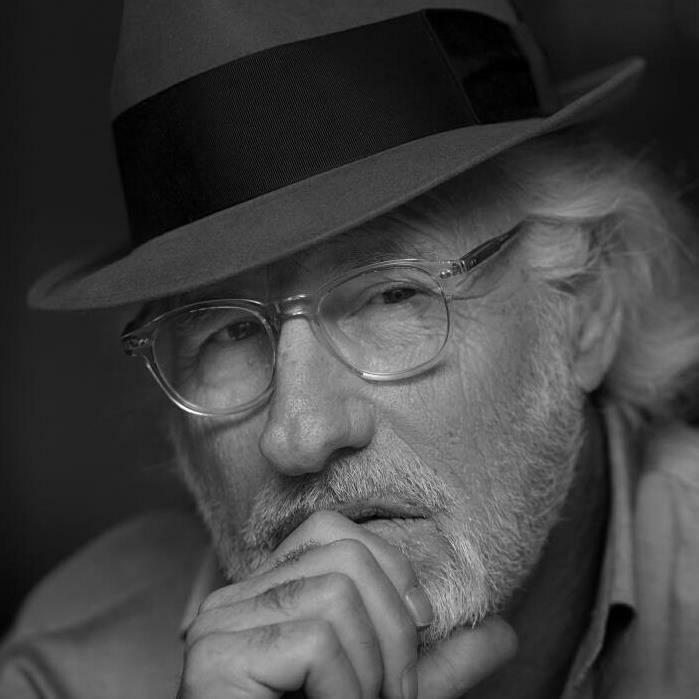 Joel Selvin: Once I realized there had not been a thorough account of Altamont and began my research, I quickly landed at the door of Rock Scully, onetime manager of the Grateful Dead. When he told me how Altamont started, I knew there was a great story to be told. Going in, what were your goals and expectations? What did you hope to find out about Altamont that hadn’t already been told? I wasn’t sure. I knew there was enough for a strong narrative, but as the details began to emerge, I discovered heretofore-unrevealed levels of the disaster. And, to follow that up, what did you find that was new? What was the biggest revelation? Biggest is a hard word. There were so many untold incidents that add up to a staggering portrait and the vast social undercurrents were a challenge to understand and portray. The most dramatic piece of discovery was finding Jim McDonald, the survivor of the little-known vehicular manslaughter case that killed two other people. Mac himself died on the helicopter to the hospital, but was revived in the emergency room. Otherwise, he said, he had a great time. Did you speak with any of the Hells Angels who were hired as concert security, and if so, what did you learn from them that adds to our understanding of the event? I did speak with Angels and correcting the record about those guys was an important part of the job. Their attitude is that they were duped and played for patsies by the Stones and I don’t find that an unreasonable perspective. Altamont has always been seen as a textbook example of how not to plan a large-scale concert. Fingers have been pointed since 1969: the Stones, the Angels, the Dead, whoever thought it was a good idea to put up a four-foot stage. In your opinion what was the single biggest cause of the problems there? Going through with the concert. The most amazing thought I had as I pored through the material was that nothing went right. They never got one single lucky bounce. It was pretty much a disaster from the first step. I’m not even sure how serious Rock was when he suggested doing the concert to Keith. Was it a mistake for the Stones to go on? Would things have turned out better or worse if they’d called it off earlier? The only possible reason to go through with the concert, which didn’t have a site up to four days before the scheduled start, was because Mick Jagger needed the epic finale for the movie they started filming in New York. They nevertheless plowed ahead, heedless, reckless and irresponsible. What is your take on what really happened with Meredith Hunter, the man who was murdered near the stage? Hunter was stabbed to death by Hells Angel Alan Passaro, who was acquitted of murder in a trial because Hunter pulled a gun on the Angels who were beating him. He is a sad figure whose mother was a schizophrenic prostitute. He was largely raised by a 10-year-older sister who moved out of the home when her mother’s pimp started showing too much interest, leaving Meredith, his younger brother and sister to fend for themselves. He did his first stretch in Youth Authority at age 11 on some b.s. charge and bounced in and out of jail the rest of his teens. He was a petty criminal with some considerable personal charm, a hapless pawn in the game of life. Watch a clip from Gimme Shelter when Hunter is stabbed to death. Some who attended—the ones who didn’t get close to the stage—came away from the show thinking it had all gone pretty well, except for a couple of minor disruptions. How could they not have known what was happening up front? The sound system was cobbled together from three sources and never properly functioned. It was garbled and indistinct. A lot of what transpired was lost on the far reaches of the crowd. George Lucas was on the film crew that day—his first time—experimenting with a 1000-mm lens. They sent him and future Oscar winner Walter Murch to the top of the hill where they fiddled with the tricky lens all day, only getting one shot in the movie—the final shot, a luscious pan across the crowd stumbling out in the dark that resolves on the moon—and drove home talking about what a wonderful day it had been. Altamont has often been called “the end of the ’60s,” and as the Airplane’s Paul Kantner once pointed out, it was December 1969, so yeah. But more than that, what does the concert represent today other than the literal end of a tumultuous decade? The rich, almost Jungian symbolism of the Hells Angels stabbing to death a black man in front of his pretty, blonde white girlfriend while the Rolling Stones played at the height of the era of peace and love will never be repeated. You can order Altamont: The Rolling Stones, The Hells Angels and the Inside Story of Rock’s Darkest Day here. Joel Selvin is an award-winning journalist who has covered pop music for the San Francisco Chronicle since 1970. He is the author of the bestselling Summer of Love: The Inside Story of LSD, Rock & Roll, Free Love and High Times in the Wild West and coauthor, with Sammy Hagar, of the #1 New York Times bestseller Red: My Uncensored Life in Rock. He has written 13 other books about pop music.